A top protege of Prime Minister Narendra Modi living in the US, Rajiv Malhotra, who is widely regarded as one of the foremost theorists of Hindutva, is out to create yet another flutter, this time insisting that there is a need to “understand Manusmriti as per Hindu interpretation”, and for this one should “read Agniveer”. Malhotra was recently involved in an ugly controversy when his book “Indra’s Net” was charged with plagiarism, and one of the scholars who took strong exception to was celebrated Indologist Andrew J Nicholson, author of “Unifying Hinduism”. Nicholson said, “Malhotra does not know Sanskrit, so he has to rely on others who do in order to amass the raw materials he needs for his books”, and “twists the words and arguments of respectable scholars to suit his own ends.” Malhotra has denied plagiarism charges. 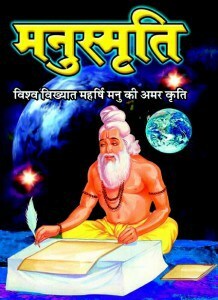 The controversial new interpretation of Manu Smriti comes when Dalit leaders, starting with Babasaheb Ambedkar, as also senior scholars of Indian history and culture like Debiprasad Chattopadhyaya, have long unanimously accepted that the treatise is the first codified text on ethics and laws which promote blatant casteism. Claiming that “most of these Manu bashers perhaps never ever gave Manu Smriti a serious reading”, the article seeks to refute the view that “Manu founded the caste-system based on birth”, that “Manu legalized harsh punishments for Shudras and special provisions for upper-castes and especially Brahmins”, and that “Manu was anti-women and condemned them”. This is a sad excuse for an article. Why quote a hotch potch of tweets & fragments of articles? The purpose seems to be to summarily discredit the argument without seeming to do so. Rajiv Malhotra has many well known & quote worthy books videos & blogs. Why use out of context tweets at all when better material is so obviously available? The actual "agniveer" article is also much more coherent than fragments quoted here. Not to mention crass mislabeling RM as Modi's protégé, and mug slinging about the thoroughly debunked "plagiarism scandal ". On the whole, it appears like a condescending response to someone questioning some 'scientific' theory on "ManuSmriti is oppressive" that one believes in. No its not like laughing at someone who is saying "the earth is flat" and you being dismissive since it is well proven that the earth is round. The "oppressive manusmrti influencing Hindus" is closer to the "flat earth" theory than you may think. It is upto you to show evidence to uphold it. Its an academic fact the British transformed the varna system into a caste system. Even Ivy League scholars, like Nicholas Dirks, have said so. So Rajiv Malhotra is completely correct. First of all, Shri Rajiv Malhotra is not, to my knowledge, a "protege" of Narendra Modi. This obviously false statement immediately casts into doubt all of the material to follow. With regards to the actual material, it appears to me that the author is trying to defend the Manusmriti. Why undertake such a defense using a hodgepodge of tweets and out of context quotes, when in fact much better references and articles are themselves available for this purpose? To the author- please use discretion, judgement, integrity in thought, word, and deed, as taught by our own Dharmic traditions, as you continue in your quest to write articles of this nature. Moving forward, please post thoroughly thought out, well-researched material preferably peer-reviewed, prior to publication. Why your representative has no name(s)? Did he read Manusmruti ?